The transition to 4G network technology will lead to the creation of 1.6 million jobs in the United States, a new study estimates. NEW YORK (CNNMoney) -- What's the difference between 3G and 4G? About 1.6 million jobs. That's the math according to Washington think tank NDN, which released a study Wednesday on the effects of U.S. wireless carriers' transition to next-generation networks. The nationwide switch from 2G to 3G technology led to the creation of 1.6 million jobs, the study's authors concluded. That growth took place between April 2007 and June 2011, when the country overall lost 5.3 million jobs. The research concluded that for every 10% of U.S. cell phone and tablet users who upgrade to a new network technology, the nation will increase jobs by 0.07 percentage points in the following quarter. It sounds like a small number, but it adds up: By September, the study predicts the 4G network transition will have directly created 231,690 U.S. jobs. "Frankly, I didn't expect the numbers to be as good as they were," said Robert Shapiro, co-author of the study and former undersecretary of commerce during the Clinton administration. "We all knew there was job destruction associated with advancements in Internet technologies, but this proves that the job creation is significantly greater." 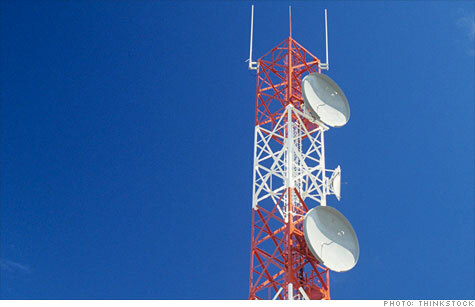 The growth of 4G networks will lead to job creation in a wide array of industries, the survey suggested. Smartphone and tablet makers will ramp up production of 4G phones, wireless networks will employ more workers to build and service their new infrastructure, and software developers will write applications that can take advantage of the added capacity and speed of 4G networks. The 4G network technology offers faster speeds and increased bandwidth for Internet traffic. Long Term Evolution, or LTE, which has become the industry-accepted 4G standard, can provide speeds up to 10 times faster than most 3G networks. Verizon has taken the lead in 4G-LTE deployment, rolling out its new network to cover 200 million Americans. AT&T's (T, Fortune 500) new LTE network covers 73 million, and Sprint (S, Fortune 500) is gearing up for deployment of its LTE network technology later this year. Nationwide, wireless companies are spending billions of dollars each year upgrading their networks. But adoption is still in its early stages. Verizon (VZ, Fortune 500), for instance, has 91 million total retail customers, but the company has sold just 3.1 million 4G devices through September. One potential problem with the study's logic is that 4G-LTE is nowhere close to the revolution in speed and capability that 3G was compared to 2G. It's an incremental move, not a quantum leap. But Shapiro thinks that won't matter in terms of job creation. "There is nothing linear about what people do with new technology," he said. "New generations of wireless networks create new use cases and businesses. We don't have a lot of data yet for 4G, but we have confidence that the effects we saw before will at least be duplicated, if not enhanced."